I have always been interested in nutrition and more importantly passionate about good food both creating it and eating it! 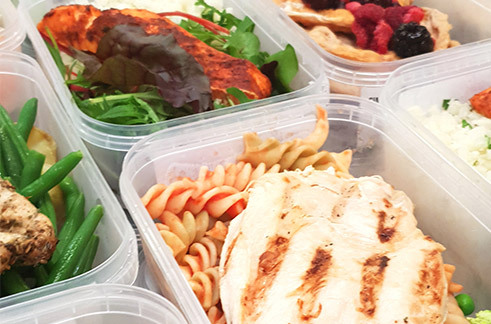 Before I became involved with Simply Prep I worked within a local authority managing kitchens and creating nutritionally balanced and tasty menus. 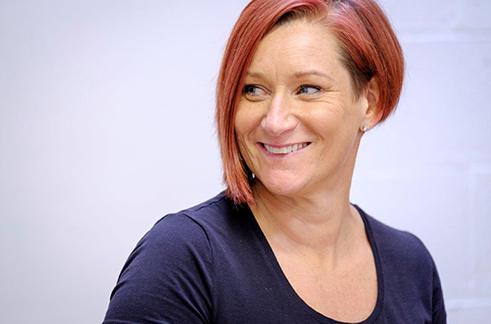 During this time my interest in nutrition and the science behind our bodies increased so I embarked on a Science and Nutrition Degree at the Open University, I proudly graduated in 2012. During my time with the local authority I won a national catering competition, and I was fortunate enough to appear on "The One Show" with renowned food critic Jay Rayner as well as cook my winning dish at London's Excel in front of thousands of people. Those are quite 'normal' achievements in comparison to holding the record for being the longest standing and only Chilli Eating Queen of Birmingham. In 2017 Simply Prep as a company will be sponsoring the event as well as me defending my title for the 4th year.....some say I'm crazy! Our aim was to take our product to the consumer, so we built a small but functional kitchen in an annex next to a gym. 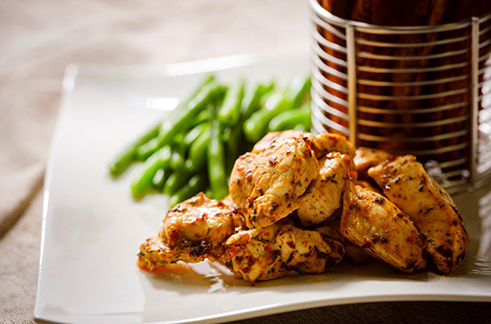 We kept the menu small and simple with carefully crafted seasonings, and our aim was straightforward. The consumer could build their own meal prep in just 3 steps...picking their protein, carbs and veg. Before long we're creating food such as a gym friendly curry which would sell out within hours...and without any marketing and only word of mouth our food was not only appealing to gym goers and PT's but local people who just wanted food that was clean,healthy and affordable. Our business just grew and grew and as a chef there is no better satisfaction than watching people enjoy your food. So here we are excited to be offering our 'gym food' to the nation. We still have the same ethos....providing clean, healthy and tasty meal prep for everyone....you don't have to lift weights or spend hours in the gym to enjoy our food but if you do it will compliment your training. We appreciate that not everyone has time to think about their macros or micros and to be fair they are confusing, eat this, don't eat that etc. So our aim is to do this for you using only the highest quality ingredients, delivered direct to your door and above all maintaining our consistently high standard. All our seasonings and sauces are all created by myself without any nasties or fillers and as all our recipes are, they are unique to Simply Prep. Finally I hope you will enjoy eating our food as much as we have creating it!